Baku to Tehran and return. The first flight was a pretty old ATR-72 which looked quite scary from outside. Inside was not bad and relatively comfortable. The flight was pleasant and on time service on board was correct. The return leg was very unpleasant. The flight was supposed to leave at 2:20 am but due to the late arrival of the aircraft from Baku it was delayed of 1hr. 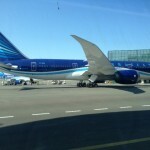 Then when the moment to board came we didn't have any news and the Azerbaijan Airlines ground staff disappeared. Just after 1 more hour a staff member was found by the other passenger and was obliged to give a public statement just in Farsi announcing that due to heavy fog in Baku the plane was delayed without indicating the exact departure time. As I'm Italian I could just get this information from another fellow passenger who translated to me. At 7am the mob almost attacked an Azerbaijan Airlines staff member and obliged him to give some news : he made a phone call and after 10 minutes the we suddenly started to board. Finally we left at 8pm and the flight with an A319 went fairly well. Bad weather is a standard inconvenience and flying with fog is not safe but the behaviour of Azerbaijan Airlines was simply not acceptable. We were all left for hours without any information any drink and any apologize. LHR-GYD. If travelling business ask to be checked into row 1 or 2 - rows 3 onwards are sometimes used for business class but have ordinary economy seats. Generous bar large dinner with typically Azerbaijan cuisine. Cheerful attentive flight attendants. The reverse journey (LHR-GYD) is overnight. I have flown AZAL from both Paris and London to Baku but mainly from Gatwick as it was convenient for me. I flew Business class for approx 2 years and found inflight service was normally very good but preferred the old 757's to the new Airbus as the old aircraft had individual wide seats whereas the newer 757's were 3 economy seats divided into 2. My only criticisim would be at the main AZAL office in Baku where I had to chase up my frequent flyer Silver Card - which I still do not have. I also lost my wallet with the original blue card and when reporting it for a replacement AZAL "fined" me 25% on my air miles. Security at Baku was always thorough but fair. 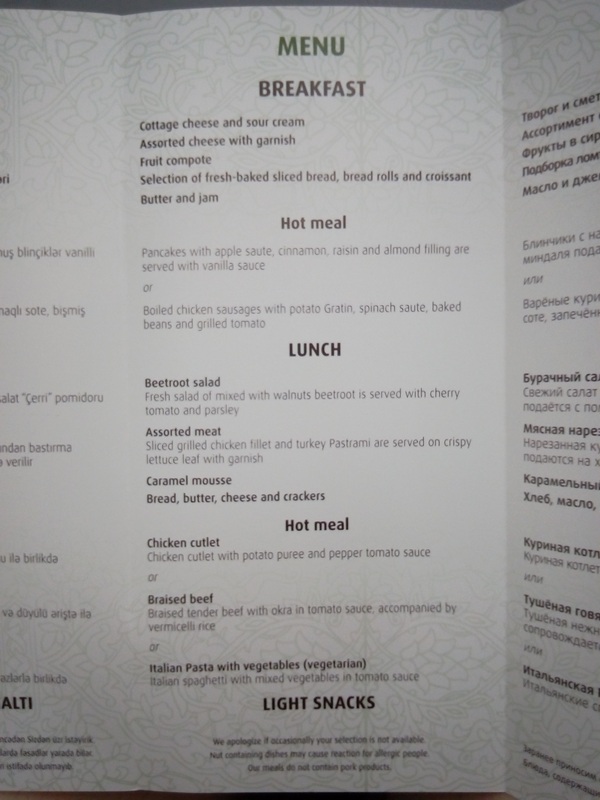 I also used BA and BMI to Baku but would recommend AZAL as they are normally cheaper and the Baku flight had plenty of seats from Gatwick to Baku. Tupolev 134 used from Baku to Nkhchivan interior was plastic - the curtains hung with wires in front of the windows. The air conditioning poured steam out of the ventilation. The backrests of my seat was damaged. The table had to be held in place because the fastening to the seat in front of me was damaged. The landing was careful and there was free water served during the long ground stay before we got in the air. LHR to Tehran via Baku. 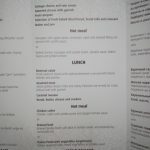 Planes were clean and appeared newish and food mostly good although sandwiches dry and dull. Service was fair at best but would fly Azerbaijan again as it was the cheapest. Tbilisi-Baku and Baku-Tbilisi with ATR (prop) aircraft. Most days they have two flights in each direction one on the ATRs and one on 737s. The ATR plane was good clean fixtures and toilets in fine shape. Inflight service for these short hops consisted of small sandwiches (think a small round sliced bun with sliced chicken breast and mayo inside) plus drinks. Passengers all ordered non- alcoholic drinks but I assume alcoholic drinks would have been available. The flight attendants were professional and polite though not bubbly-friendly. Crew all spoke English well. The return GYD-TBS flight had a friendlier smiling flight attendant. Overall I’d say the airline gave quite a good service. My worst flying experience in 11 years of former Soviet Union travel. On January 13 2008 the airport in Baku was closed because the airport is not equipped with any modern snow cleaning equipment. Personnel checking us in in Tblissi in Georgia without telling us anything with a delay of 7 hours in order to not let us return the tickets and book an alternative route through Kiev. No food no drinks no apologizing. Arriving in Baku after midnight no information whatsoever a crowded airport without any modern facilities. No airport representative ever turned up. No food no drinks no apologizing. Finally with a delay of another 17 hours check-in at the departure lounge we were forced to wait for 2 hours without being allowed to go out and use the toilet. Aggressive unfriendly personnel at the airport. The aircraft was covered with snow no cleaning equipment was at hand to clean away the snow from the top of the aircraft. Other passengers told us they already had similar experiences when flying from Moscow through Baku. Stay away from Azerbaijan airlines if you can. Moscow (DME) to Baku and it was a great flight. 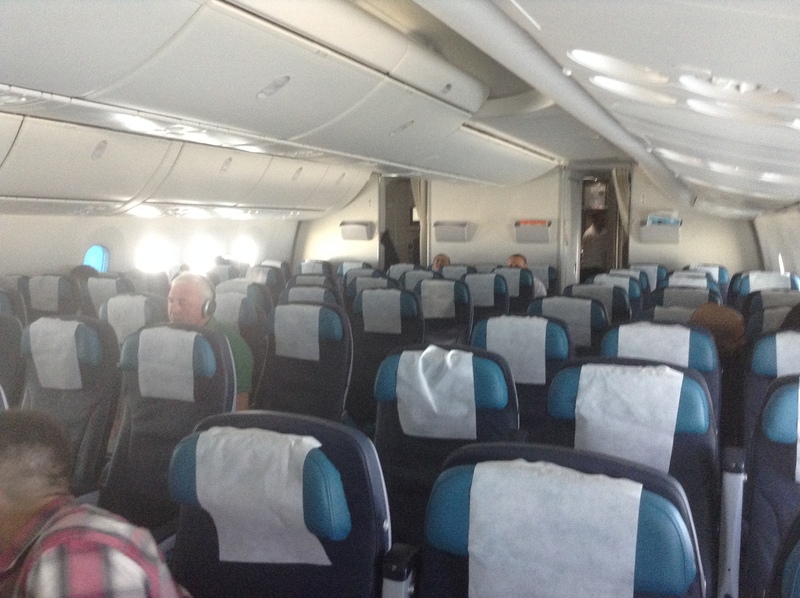 The plane was newer than many I've been on in the US and very clean and comfortable. The service was good even in economy class and food was generous and quite tasty. 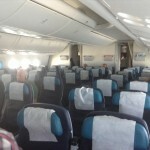 The next flight Baku to Tblisi was also comfortable with excellent cabin crew. Dubai to Baku & return. The plane was an A320. It was full as usual. Food & service were basic but acceptable. It is important to note that economy passengers can only have 20 kgs booked luggage and they weigh your hand luggage (nothing over 10 kgs). Excess baggage charge on the DUB- Baku was quite expensive. On the return flight I was offered two ways to pay the charge - the fast way (in cash to the nice check in man - $20 which he pocketed) or the slow way by going to the excess baggage counter & paying $50. I always choose the fast way when in the old Soviet republics. 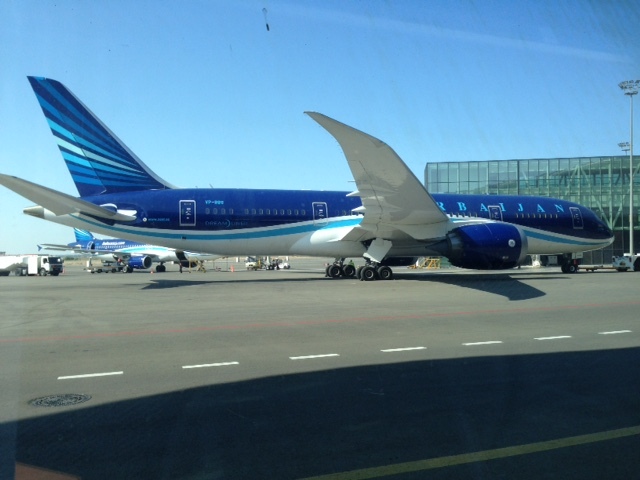 I have flown AZAL two times from Moscow - Baku - Moscow. The plane was clean and the crew friendly and helpful. Food was good - not very much different from other airline food. No delays everything went smooth.